The new promo for Despicable Me 2 has arrived. The new Despicable Me 2 trailer is here! Universal Pictures released the promo on Tuesday via iTunes Movie Trailers. We never thought we’d hear Eminem’s Without Me in the trailer for a film aimed at kids, but somehow it works. The animated comedy features the voices of Steve Carell, Kristen Wigg, Miranda Cosgrove, Steve Coogan, Russell Brand and Al Pacino. It centers on reformed villain Gru (Carell) and his irresistibly cute girls. Despicable Me 2 serves as a follow-up to the 2010 hit Despicable Me, which took in a whopping $540 million at the box office. It is currently the 10th biggest animated film in U.S. history. The film currently holds the record for the third biggest box-office debut for an animated flick. It is surpassed only by Toy Story 3 and Shrek Forever After. Directed by Chris Renaud and Pierre Coffin, the 3D sequel features all of our favorite characters from the first film, and a few new ones. Unfortunately, we won’t meet them until Despicable Me 2 hits theaters on July 3. 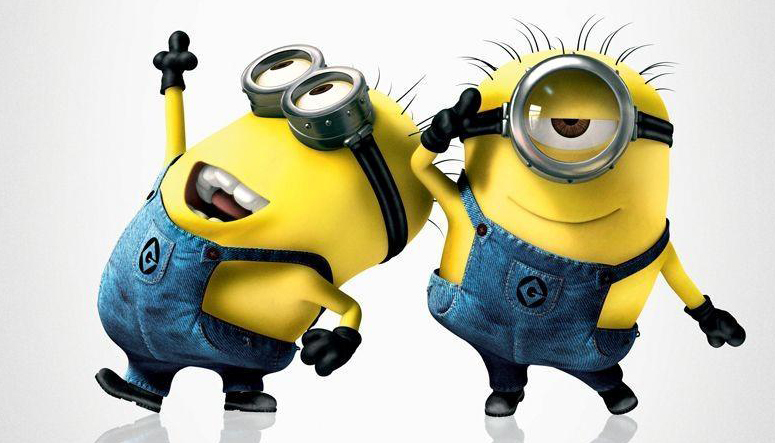 If that’s not enough to satisfy your Despicable cravings, a prequel called Minions is also in the works. Set for release in December 2014, the film will feature the voice of Sandra Bullock.